There’s a lot going on at Princess Cruises these days as they gear up for the arrival of three Royal-Class ships in the near future. Plus there are two more, slightly bigger ships on the horizon – coming in 2023 and 2025, all adding to the current fleet size of 17 ships – an amazing growth spurt for the largest international premium brand in the cruise industry. Launching this October in the Mediterranean will be Sky Princess which will sail a number of European cruises before she commences some Caribbean cruises from Florida. Sister ship Enchanted Princess debuts in June 2020 and will be named in Southampton, England and also sail her inaugural season in the Med. The third and last in the six ships comprising Royal-Class has yet to be given a name and will arrive on the scene in 2022. Vacations enabled by the OceanMedallion, the industry’s most advanced wearable technology. The medallion delivers guests a hassle-free personalized cruise vacation in a number of areas. This ship will also feature MedallionNet, the best Wi-Fi at sea delivering impressive delivery speeds. OceanMedallion has already been rolled out – to much fanfare – on several Princess ships and guests love it. All three 143,700-ton Royal-Class ships will carry 3,660 guests and include many dazzling features found on their predecessors – and of course, as with any new ship, there will be newly-introduced offerings. 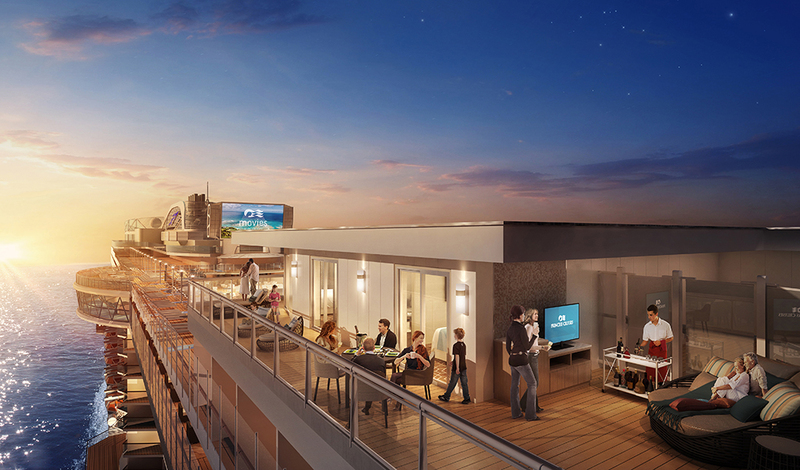 Guests in the Sky Suite accommodations will enjoy the largest balconies at sea – at around 1000 sq.ft. - perfect for entertaining new found friends or fellow travellers. There will be a new jazz lounge named Take Five as well as an enhanced Princess Theatre and other new and exclusive entertainment options. On the Enchanted Princess a reimagined Salty Dog Gastropub will offer a chance to watch sporting events and the restaurant everyone loves, Sabatini’s Italian Trattoria, will also be transformed, blending classic Italian accents with a spacious, contemporary setting. There’s so much more to be found on each of these fabulous new ships, and we will provide updates on each as their launches get closer. Originally published in Cruise and Travel Lifestyles, Winter/Spring 2019 edition. 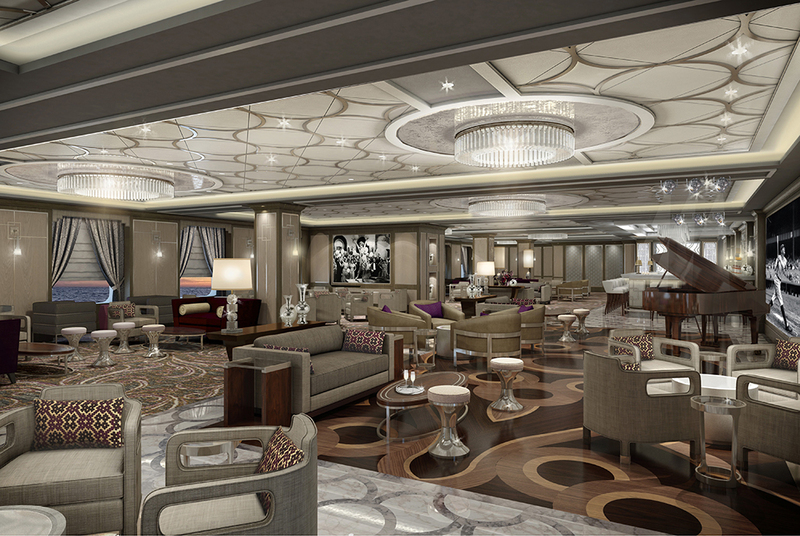 Artist renderings courtesy of Princess Cruises.